Contrary to pundit analysis, the first half of Obama’s speech today in Cleveland reminded me of his old inspiring self. While the second half of his speech delved down into the weeds of policy differences between the current GOP and Democrats that became somewhat boring, even though completely true. The first half of Obama’s speech clearly laid out his vision for the future of America. I might add, it’s a vision with which I completely agree, the essence of which is increased global competitiveness in every sector of the economy and greater economic rewards for labor – or actual work. Nevertheless, the two visions of America going forward in this election replay the visions of Coolidge and of TR and his distant cousin, FDR. Yes, it does seem strange that we’re even discussing the visions of presidents from a hundred or more years ago; yet, we are discussing the same essential policy visions again today. While Coolidge, according to Wikipedia, had an essentially laissez-faire, hands off attitude towards business, believed that few regulations were needed and taxes should remain as low as possible, TR and FDR had another view based on their experiences with the so-called free market. 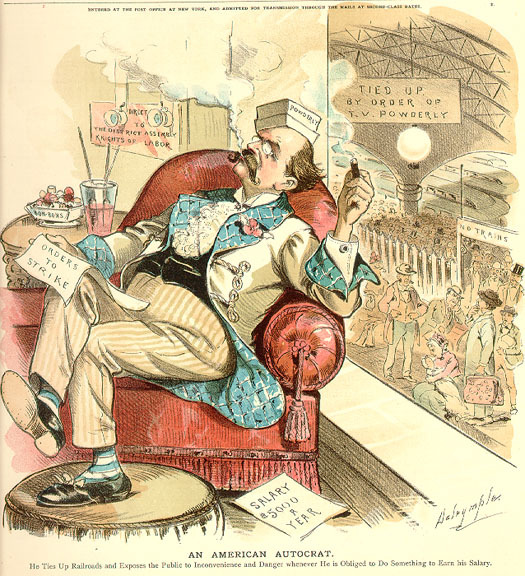 During the early 1900s when TR became President, the renowned Robber Barons dominated industry. Numerous books and magazine articles were written decrying the poor and often deadly state of American worker conditions under the heavy hand of corporate ownership: the high rate of deaths and physical dismembership among employees; the high rate of deaths in coal mines; and the overall low wages which prevented workers from rising above stark poverty and barely managed to provide roofs over their heads. Cold water flats, as cheap housing accommodations were known in the late 1800s, were not only common among workers but were miserly at best, providing only cold water and no heat except when the renter provided the coal to heat water and for cooking. Yet, corporate businesses and Wall St boomed. Commodore Vanderbilt’s family regularly gave extraordinarily gaudy and lavish week-long parties. Wall St. magnates and other corporate leaders sought to compete in extravagance with the Vanderbilt’s. In response to this disparity of wealth and opportunity, workers revolted. Street corner advocates called for massive worker revolutions against the corporate system. Unions formed. Workers struck, effectively shutting down businesses. Businesses fought back with strike breakers and hired private police and army forces. Socialism and even Communism were on the rise amongst workers who saw the capitalistic system as supremely unfair and failing to live up to the promise of real democracy. Violence was common…and threatened the country. Into this era of violence, poverty and excess stepped Teddy Roosevelt. A rich kid from upper New York, TR quickly realized that to save capitalism he had to initiate reforms to save it from its worst excesses. That broadly spread economic benefits not only enabled the country to grow but maintained domestic order. Thus, the GOP-created progressive era began as a consequence of unbridled free market capitalism that destroyed millions of families and businesses throughout the 1800s into the early 1900s. TR realized that only the government could pull up on the reins of capitalism to prevent its largest horses from crushing underfoot the opportunities of millions of other citizens. 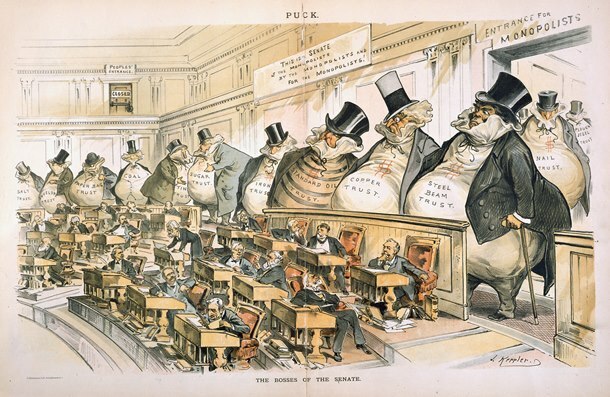 He realized that if he and Congress did not put limits upon how trusts and other companies behaved, the likelihood of free market capitalism surviving was slim or, at the very least would fail to prevent revolution amongst the millions of American workers. After all, workers’ unions were the direct result of corporate management’s failure to address the wage, health and safety needs of workers. FDR sought additional worker and consumer protections as well as for Social Security to lighten the burden on workers while enabling companies to grow. He understood that without a healthy, thriving middle class, real capitalism was doomed. In 1936, GDP growth had reached a steady 45% degree angle upward throughout FDR’s Administration; yet, unemployment remained very high – even though accurate figures were not available. (The Fed. government did not begin keeping accurate unemployment data until the ’50s.) In 1937, the Fed. Government reined in its spending to balance the budget, thinking the economy had sufficiently healed. Those austerity policies sent the nation back into depression, increasing unemployment and federal deficits. Only the extraordinarily massive Federal spending for WWII, pulled the nation completely out of the Depression. Oh, I know, some say that if FDR had not intervened the Depression would have ended much sooner. To them I say, read Rogoff and Reinhart’s book covering a century of global financial crises in which they report that financially caused recession takes up to 10 years before the economy returns to normal. Moreover, I would ask them to research what happened following each banking crash throughout the 1800s. What were the results for working Americans? How many working families lost everything? How many small business died? How much did the overall economy suffer as a result of banking crashes every 10 years. There is a reason why bankers asked for the Fed and the FDIC. In between TR and FDR was Calvin Coolidge. His basic philosophy was hands off. He believed in light regulation, an almost unencumbered free market, and very low taxes. Business boomed under his administration during the 1920s. Unfortunately, his hands off approach led to massive speculation very similar to what occurred in the last decade. Hoover followed Coolidge’s economic philosophy and became the inheritor of a policy legacy that led to the worst depression in modern American history. When FDR was elected, the estimated unemployment rate was over 25%. Millions of businesses had shuttered. Millions more had lost their homes. When FDR was elected the first time, he won all but 59 electoral college votes. In the 1936 election, he lost only 8 electoral college votes. It’s that knowledge of history, including economic history, that informs my politics. You cannot have a thriving, broad-based economy without a thriving middle class who shares in the economic benefits of commerce. This nation has not had that sharing for at least the last 12 years – actually it’s been declining for 30 years as even Reagan acknowledged in the ’80s. Right now, I think we’re once again caught up in a fight between the vision of Calvin Coolidge and TR/FDR. These are two very disparate visions of America. For myself, I fall on the side of a modernized version of TR/FDR because I believe their visions work better for America on the whole. And, indeed, because the TR/FDR model relies upon a muscular – even a Hamiltonian model – of a strong central government and the tax revenues need to meet the costs of government we need and over the last 100 years have chosen.